The UFUSoft File Recovery for Mac is a comprehensive Mac data recovery software to recover lost/deleted data from Mac Hard Drive and Other Storage Devices. * Completely recover deleted, formatted and lost data. * Recover documents, images, videos, audio, emails, and archives. * Recover Mac data from Mac hard drives and most storage devices. * An easy-to-use wizard, no prior recovery skills needed. No matter if it’s been deleted, formatted, or is otherwise inaccessible, all you’ll need is UFUSoft File Recovery for Mac! Recover lost photos, video, documents, emails and archive files from any Mac-based hard drive or external hard drive, iPod, USB drive, SD card, digital camera, mobile phone, and MP3/MP4 player, due to accidental deleting, formatting, virus infection, improper operation, unexpected power failure, and other unknown reasons. With the free trial, you can preview all your recovered images, videos, music, documents and archive files prior purchasing this UFUSoft Mac File Recovery..
* Recover not only documents, but also photos, video, music, email, archive, etc. * Recover data both from Mac computer and storage media such as hard drive, iPod, digital camera, flash card, etc. 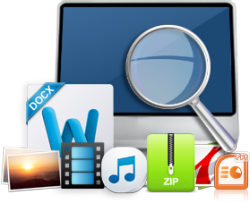 While most Mac data recovery software on the current market can only recover data from media storage. * Overall data loss scenarios supported- Recover Mac data lost due to accidental deleting, formatting, improper device usage, virus attack, software crash, and other reasons. * For images, real-time and direct scan results is displayed during the scan process to let you stop scanning once the target images are found. * For other Mac files such as videos, audio files, archives and documents, they are displayed as a text in a Hex mode for preview to let you enjoy file recovery on Mac in advance. * Before data recovery on Mac, you can choose the target file types to scan, which saves you much time especially when there are tons of files on your Mac machine. 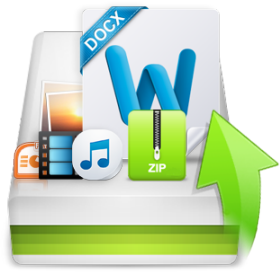 * Deleted Recovery can restore your deleted files for Mac with original file name, shooting date, and storage path. 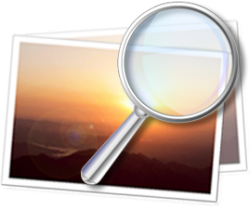 * Support file names search for scanning results to provide you precise Mac file recovery. A read-only and risk-free Mac data recovery program. No any writing operation to your original data. Mac OS X (including Mac OS X 10.5 Leopard, 10.6 Snow Leopard, Mac OS X 10.7 Lion, Mac OS X 10.8 Mountain Lion, Mac OS X 10.9 Mavericks,10.10 Yosemite,10.11 El Capitan,macOS 10.12 Sierra, macOS 10.13 High Sierra) on iMac, Mac Mini, Mac Pro, MacBook Air, MacBook Pro, etc. * Any type of file system corruption in camera storage device, hard drive and USB flash drive.